The kingdom of terror is the so-called Idlib province in Syria. Militants of various terrorist and opposition organizations official in Damascus are locked in it. At one time, Turkey insisted that they should not be “pacified” to the end, risking to cause a “catastrophe” and “terror”. So now the insurgents have arranged a catastrophe and terror for themselves. This is understandable: to fight is not to work. It is risky, but interesting: the adrenaline of existence is beautiful, and the gurias are waiting in perspective even in the worst case. But you always want to eat. A machine does not replace not only the tractor, but even a simple hoe. Hence the logical consequence: between the gangs, the war for the “peacemaker” is growing. That is, for the one who feeds. Accordingly, the struggle of bandits with each other for control over territories and spheres of influence is intensifying, and the general situation is heating up. West also gives money. Political support is also there: recently, the entire Organization for the Prohibition of Chemical Weapons (OPCW) has put the White Helmets in the service. But the West does not have complete agreement with the Turks in Idlib, who have themselves several control groups here. And feeding them under the guise of humanitarian aid is brought mainly by the Turks too. What is the way out? Take away and share. And now there are more and more reports from the long-suffering province that the terrorists from Dzhebhat al-Nusra are conducting mass arrests of civilians who are suspected of “working with the government” and, in fact, with competitors for resources. In addition to these actions, they arrange very bloody clashes with other gangs, against their background moderate. In short, there is a war with not enough enthusiastic Islamists. As reported from Syria, the mere denunciation of a neighbor can be a reason for reprisals and executions in Idlib. There is no increase in resources, although the province is fertile, but the economic turnover of the country has practically been withdrawn, the economy is slipping into natural, and the residents need to be fed not only the family, but also the “defenders” of bandits. A natural economy - it is not commodity. There is nothing to exchange, nothing to sell. And not because the people did not manage to grow extra dates in order to carry them to the market and sell them. And because the neighbor wants to sell the same dates there. Thus, quite bloody contradictions are growing not only in the gangster “superstructure”, but also in the “fundamental” economic basis for it. It is not ordinary civilians who suffer, but activists of Islamist groups, fighters who have left for “civilian life” and even former commanders of anti-government gangs. Although this is nothing new. The usual law of any civil war. Meanwhile, Russia and Turkey, according to observers, reached a consensus on the fate of Idlib. Moscow - and Damascus - until abandoned the idea to clear Idlib completely. It was a big step towards Ankara, which categorically objected to this, scaring the "terror" and "humanitarian catastrophe" in the province. Well, now Ankara, through the mouth of the press secretary of the Turkish President Erdogan, announces that Turkey and Russia were able to prevent a humanitarian catastrophe in Idlib. And he says that thanks to this, 3.5 million people were saved from bombs, half of which would become refugees. For its part, Ankara pledged to ensure order in Idlib and reconciliation in the province. In addition, Turkish troops would have to control the demilitarized zone on the contact line between the militants and the Syrian army on the part of the militants. All this Ankara did not really achieve. Reconciliation in Idlib roars with shots every day, the Turks, for obvious reasons, cannot provide police order in the zones of control of Al-Nusra either. Yes, and about the shootings between the bandits and the Syrian army from time to time messages come. But it seems that it is this circumstance - the inability of the Turks to fulfill their obligations and the resulting feeling of guilt - sets the Turkish side to a rather philosophical way. 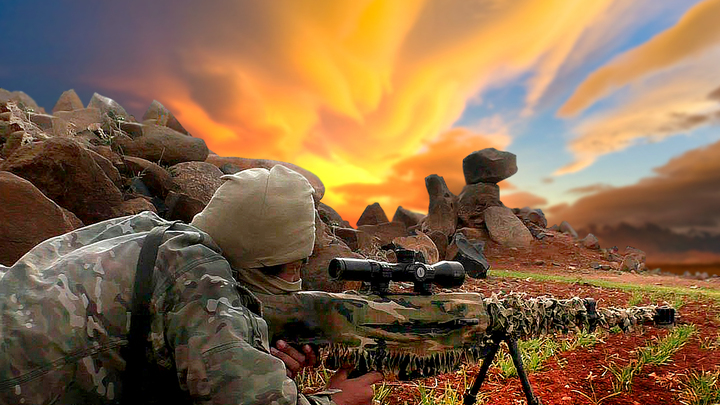 In the spirit that even if there is firing between bandits in Idlib, the main thing is that it does not break out. And refugees would not rush to Turkey. Moscow, however, shakes Ankara from time to time so that it does not fall too much into complacency, reminding us that “despite the serious efforts of the Turkish side to implement the memorandum of September 17 joint with Russia, difficulties in creating a demilitarized zone in Idlib remain. Although, probably, the Turks understand as well as others that Moscow is not at all so vigorously inclined to "rectify" Al-Nusra in the final, so to speak, manner. Let the terrorists there each other and terrorize. Until they themselves come to their senses.